Inverter – inverters that ensure photovoltaic performance in your home! Install the appropriate inverter according to the needs of the photovoltaics in your area and instantly and efficiently convert the direct current of the photovoltaic system into alternating. Improved performance and cost reduction must go hand in hand. So installing a solar system must ensure that the investment is worth it. With the new and more affordable inverter for homeowners, the cost of solar systems is constantly decreasing in conjunction with solar panels, ensuring high levels of durability. At Solar Systems Hellas we believe that energy and environmental protection must go hand in hand. That’s why every company system offers us energy savings with excellent environmental performance. 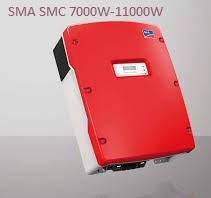 By following the latest technology in inverter mechanisms, they ensure an excellent operating result, guaranteeing high solar energy yields in your photovoltaics. Please contact us for any information by completing the following contact form.